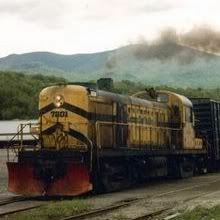 Could you ask Lee and the boys if they could add the Virginia and Truckee Railroad to the schemes available on the GE 44 ton locomotive? The reconstruction is using a nicely painted yellw 44 tonner with lettering for the Virginia and Truckee. 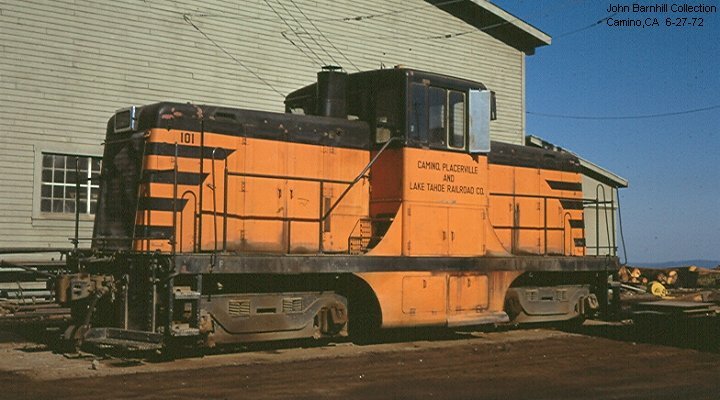 This locomotive will be around after the reconstruction from Virginia City to Carson City is completed. Please give me an email to send the images to. I lost your business card so send to the email address below. Just post it so every one can see it. Yes for Virginia & Truckee this would be high on the want list!!!!!!!!!!! I agree on an unlettered, red with yellow stripes as shown in the 2007 catalog, but not available. Yes it did. Replaced a B-6 0-6-0 switcher. On the subject of the 44 tonner, I'd like to see the NH done in the as-delivered paint scheme of Hunter Green and Warm Orange, with the hooded headlights. DGLE? We don't need no stinkin' DGLE! I'm a little late to this thread...please accept my apologies. Second off, the V&T that this diesel works for is a completely different outfit than the public commission that is rebuilding the V&T between Gold Hill and somewhere in the Mound House/eastern suburbs of Carson City area. How this V&T- which is owned by Bob Gray and his family- will coexist with the rebuilt V&T is something that is not even close to being finalized yet and is the subject of a lot of contention. Those are both very nice. Hi, I'm nobody, and nobody is perfect. YAY! I just found a new one for me to get started on. What do you say, Cheez-It orange? How about a paint scheme for the Aroostick Valley RR? Thanks for posting the links, great pictures.